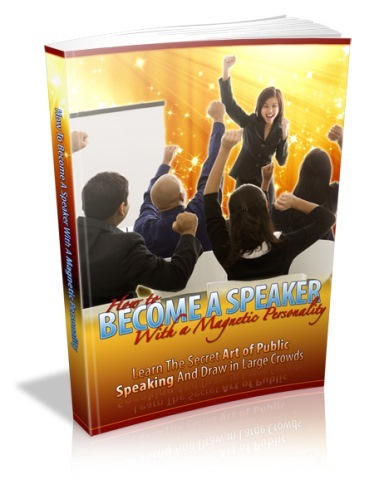 Learn the art of public speaking and draw in the large crowds. A very essential thing when you are trying to become a successful speaker is to understand where your failings are and improve upon them. In this chapter we are going to see how you can improve yourself as a speaker, whether in a formal or an informal setup. The first step is to understand your failings as a speaker. What happens when you have to speak? Do you become unduly nervous? Do you forget what you have to say? Practicing what you will say beforehand will help. Carrying a small paper with notes on it will also help. Let it be kind of assembly; carrying notes is always permissible. And, if you get nervous, all you have to consider is that people who are listening to you are also just as much human as you are. When you consider this human equality factor, speaking to them does not seem so formidable. In fact, you are the one with the privilege here because you are speaking and these people have actually assembled to hear you speak. If you cannot speak because you think you cannot use the right words, you should not let that deter you. Speakers need not be literary geniuses. You should learn how to work your way around words. You can mug up some quotes that you will speak out. When your quotes are effective, people are already impressed. The Internet has no dearth of quotes. Speak relevantly. That is more important than the language. People want to hear your ideas, not judge you for your knowledge of the language. Hence, when you are preparing anything to say, whether it is a proposal for marriage or a huge business proposal, it is the ideas flowing from you that really matter.